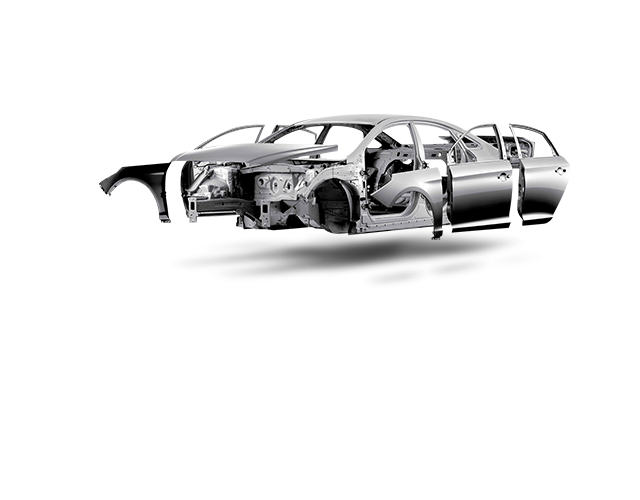 Strength Steel (AHSS) Experience differentiated driving sensitivity and stability.  collision forces and minimal distortion. 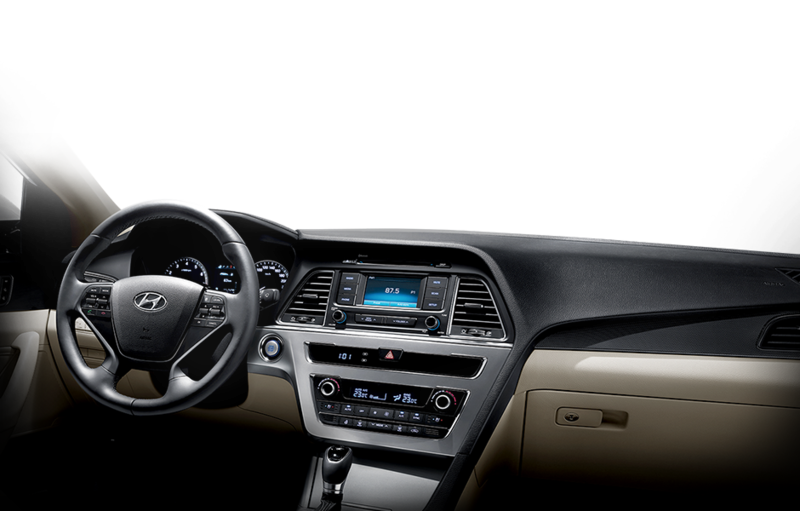 The Sonata's beauty is the confident, quiet kind. No need to show off. 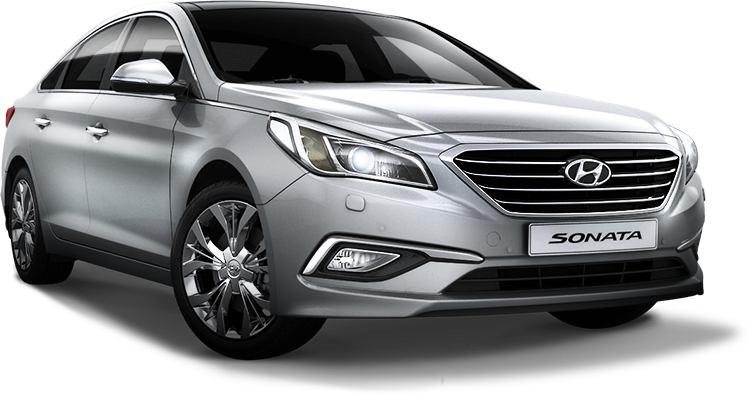 reflects the Sonata's confidence and charisma. Radiator grille The radiator grille makes a statement that is bold, forthright and uniquely Hyundai. 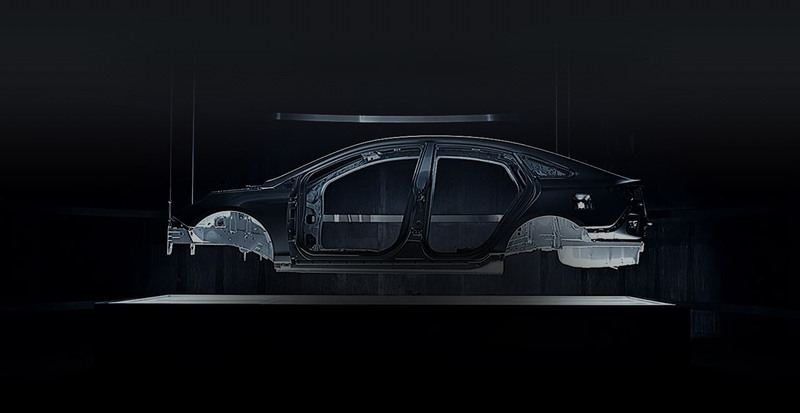 Hexagonal and three-dimensional, it adds a touch of glamour while blending with the bodywork. 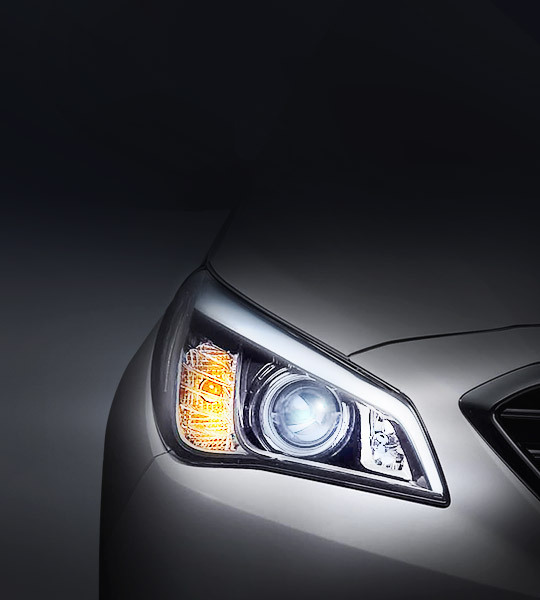 HID headlamps High intensity discharge (HID) headlamps illuminate the road with a crisp light more intense than that of other headlamps while using less power. 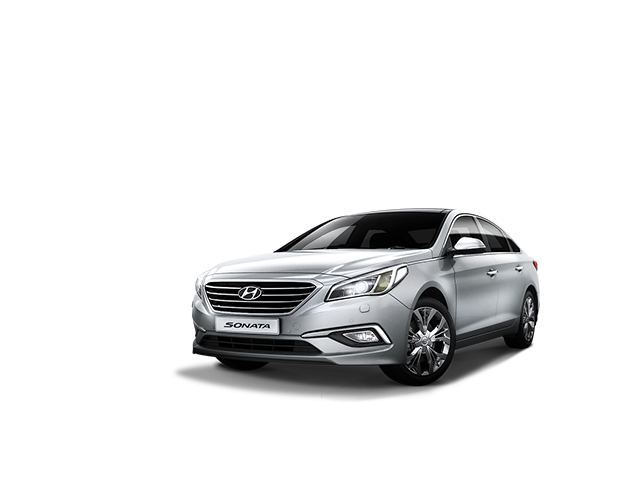 Their slim design is a natural continuation of the Sonata's belt line molding. Front fog lamps Newly designed and located below the bumper, the front fog lamps help you see better in bad weather while looking good, too. 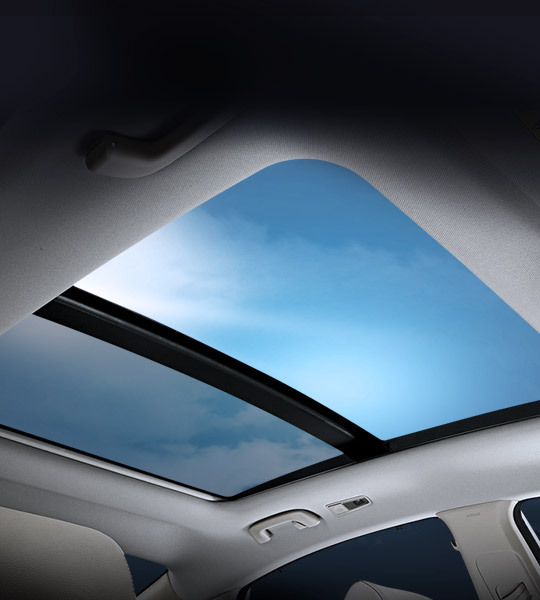 Panorama sunroof With the panorama sunroof, you can enjoy not only a bright and airy environment but also a sporty and modern exterior style. Welcome light door handles Lights on the inside of the door handles allow you to easily locate the handles in the dark, while providing a touch of elegance. 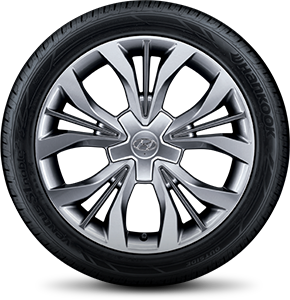 Wheels A variety of wheel choices ensures the driving experience you want. 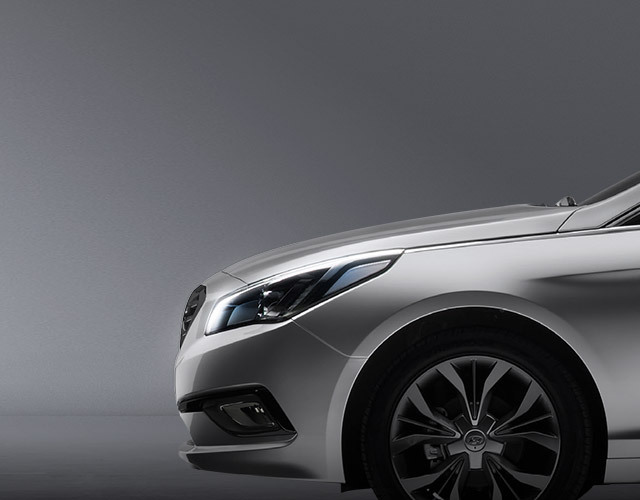 High-performance 16", 17" and wider 17" alloy wheels accentuate the Sonata's stability and sporty look. 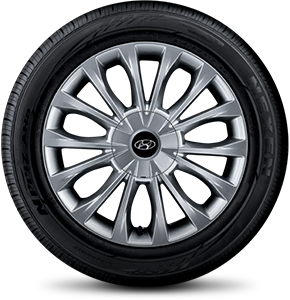 18" alloy wheels deliver the ultimate in performance and prestige. 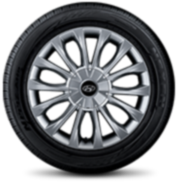 16" steel wheels come as the standard. polished lamps full of character and a sporty bumper. 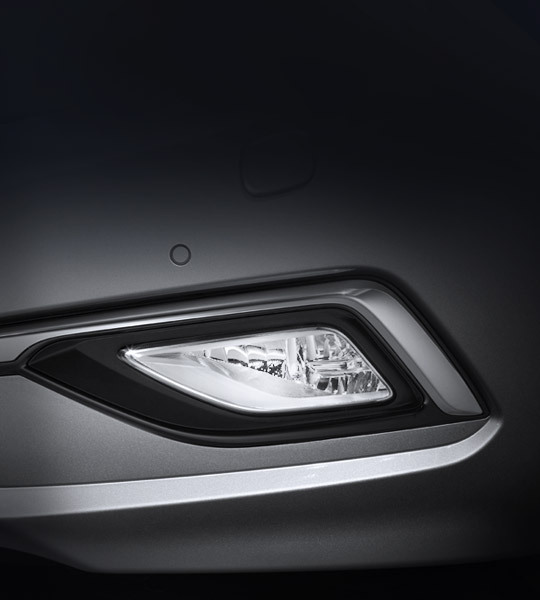 LED high-mounted stop lamp (HMSL) Drivers behind you will notice your braking and keep their distance thanks to the LED high-mounted stop lamp (HMSL), which is located in the eye line of those behind. 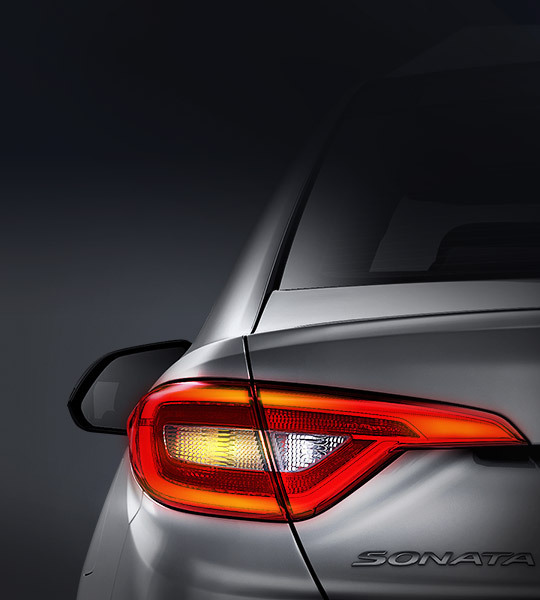 LED rear combination lamps LED rear combination lamps that minimize energy consumption create a simple yet modern rear image. 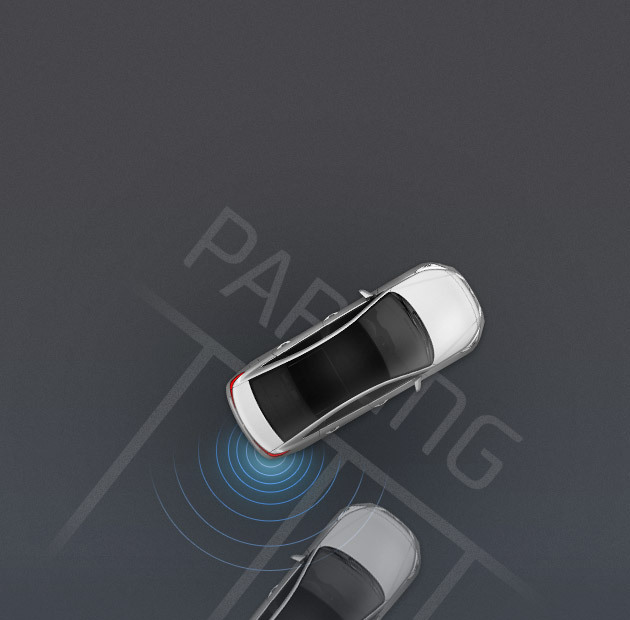 Excellent visibility from that angle reduces the possibility of a rear-end collision. 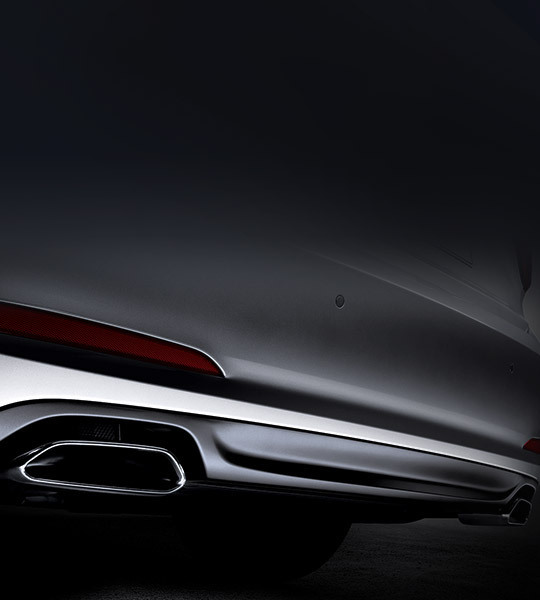 Dual muffler The aggressively shaped muffler tail trim provides a sense of high performance.  The dual version multiplies this feeling twice over. 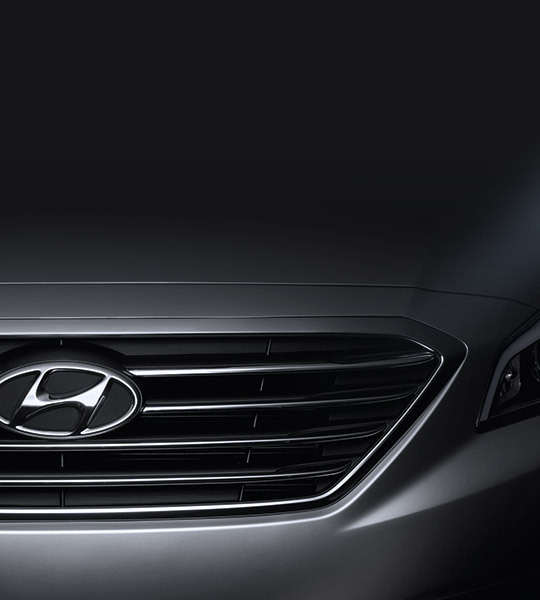 Chrome-coated outside handles add to the luxury of the Sonata's profile and give you an easy grip. 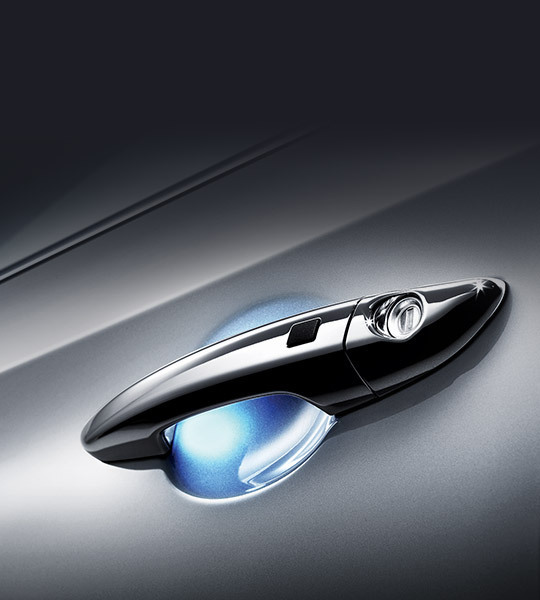 Lights on the inside of the door handles elegantly guide your hand. Outside mirror repeaters not only improve visibility and promote safer driving, they lend a modern edginess to the vehicle's side. 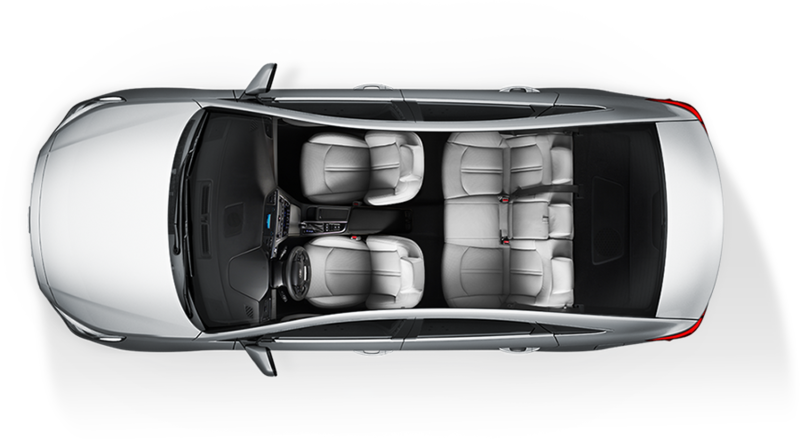 This is a car made with you and your passengers in mind. Take the puddle lamps. They light the way, inviting you in. Just focus on driving. 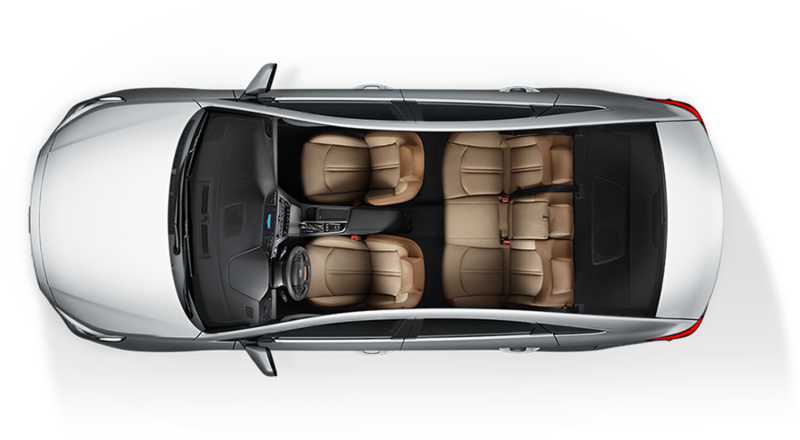 The Sonata's perks and comforts will make themselves known. in design, quality, materials, touchability and manufacturing.  hand comfort also increases handling stability in high speeds. 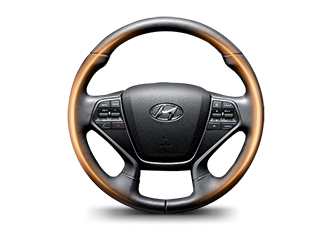 STEERING WHEEL PROFILE Sixteen months in design, the steering wheel varies in width and features an enlarged thumb rest, for improved grip and a more sporty feel. 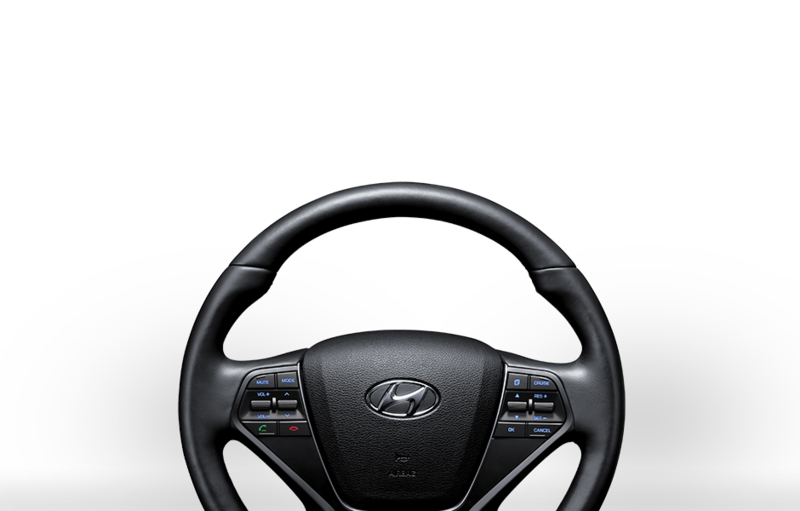 CONTROL For enhanced safety, the audio switch is positioned for thumb control only. 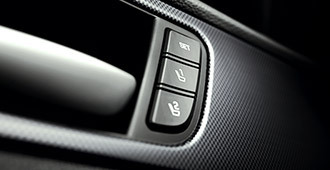 SWITCH Like the audio remote control switch, the trip & cruise control switch is operated by using only the thumb. 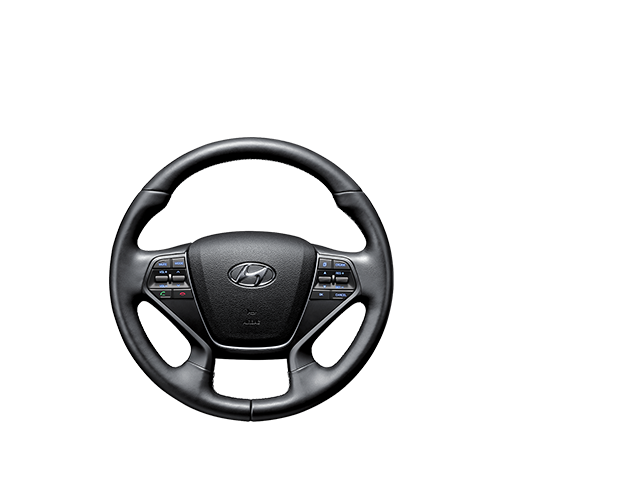 the driver, enhancing driver safety and visibility. Feel embraced by the fluid and delicate interior space, which comes in three refined color schemes. 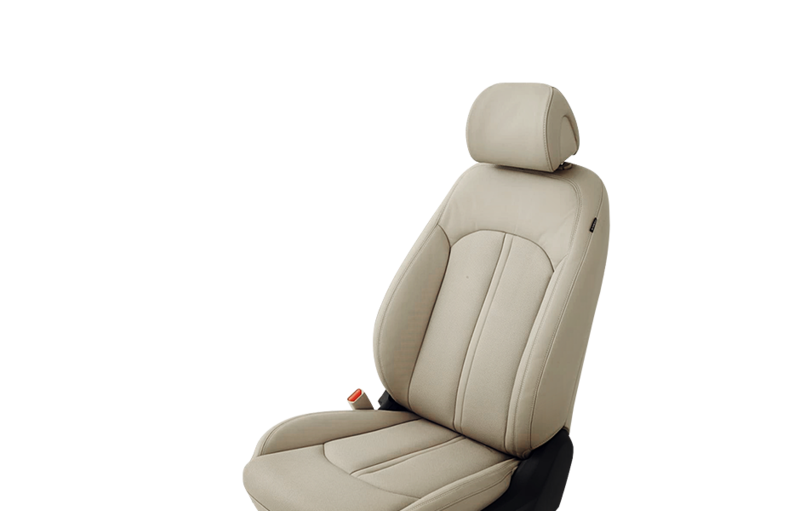 Seat trims match the beige, brown or black of the seat colors. 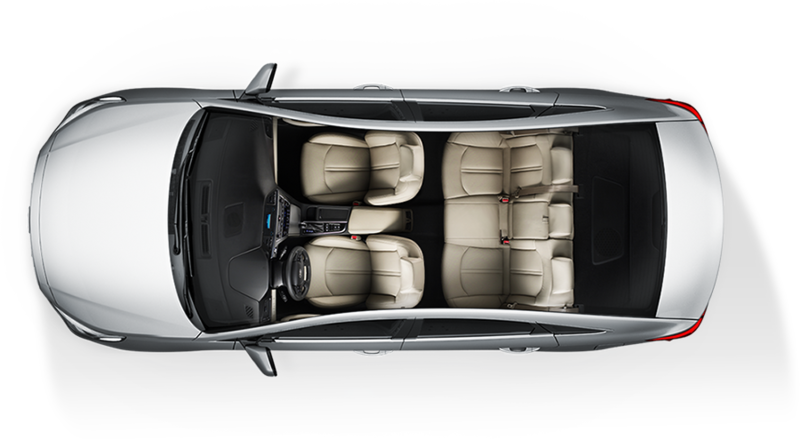 Luxurious details and design make for a premium image. 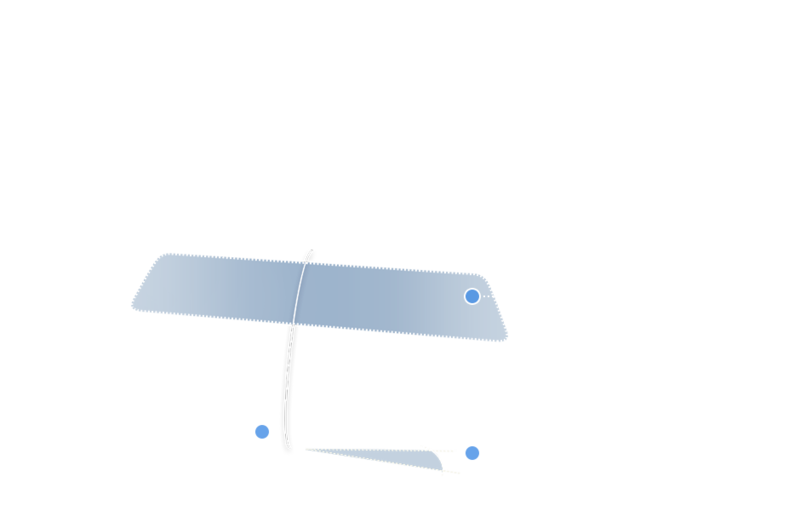 mirror and driver's seat positions. sure everyone on board is comfortable. 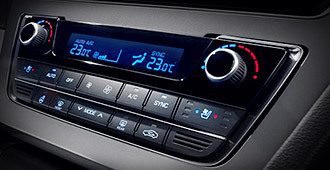 sunshade operates at the touch of a button. you want privacy or just want to block out the light. Enjoy the comfort of your couch, in your car. 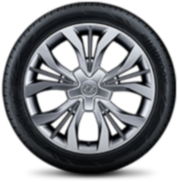 Front wheels understand the driver's intention while rear wheels make for stable turning. of 24.6 kg.m at 4,000 rpm. 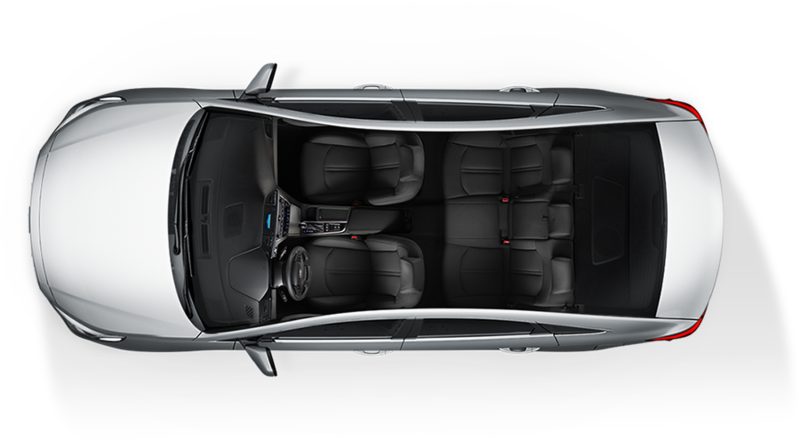 engine minimizes emission and promotes power output. distortion. 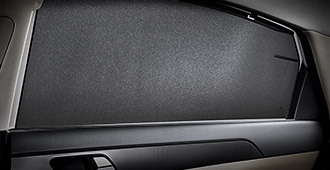 Most of all, it means better passenger protection. 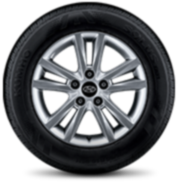 The front suspension features newly designed wheel geometry and more bearing strength, focusing on retaining turning stability and providing a firm and comfortable ride. 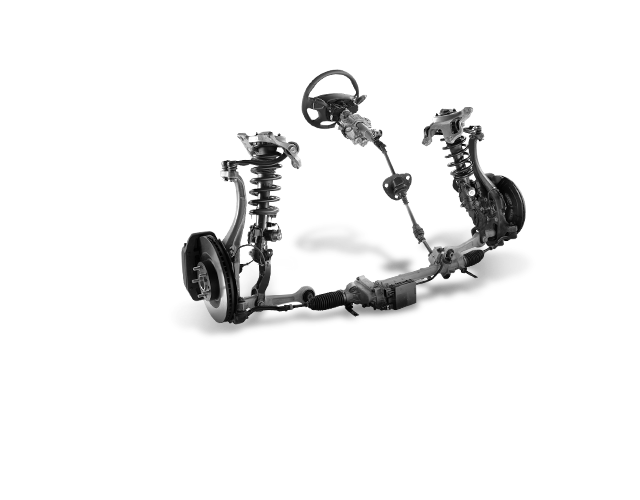 With optimized rear wheel geometry, the dual lower arm evenly distributes lateral force and enhances stability during high-speed driving and turning. 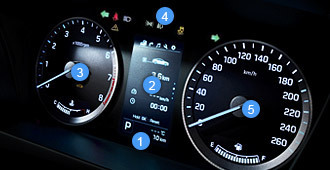 Press the button on the center console to choose from 3 driving modes - normal, sports and eco - depending on your mood and the driving conditions. Our focus isn't speed or showiness, but safety and stability.  See better on a curve with Static bending lights (SBL) that increase visibility when turning. 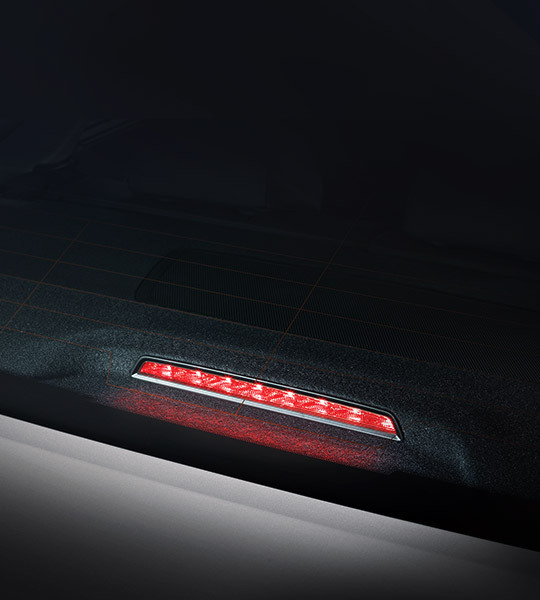 It provides illumination for previous blind spots when making turns for greater visibility. 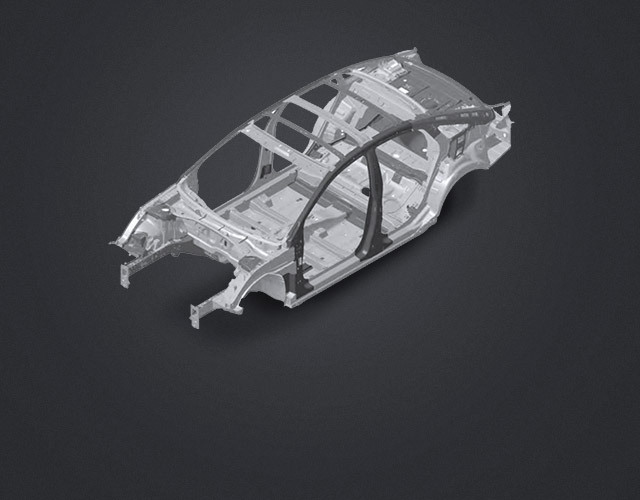 Improved deployment of side airbags helps protect the chest and pelvis more effectively. 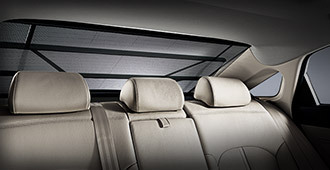 Improves protection of occupants' heads in case of side collision. 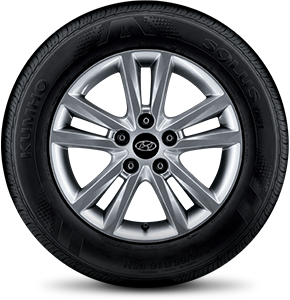 This system prevents the brakes from being locked on a slippery road and avoids uncontrolled skidding. 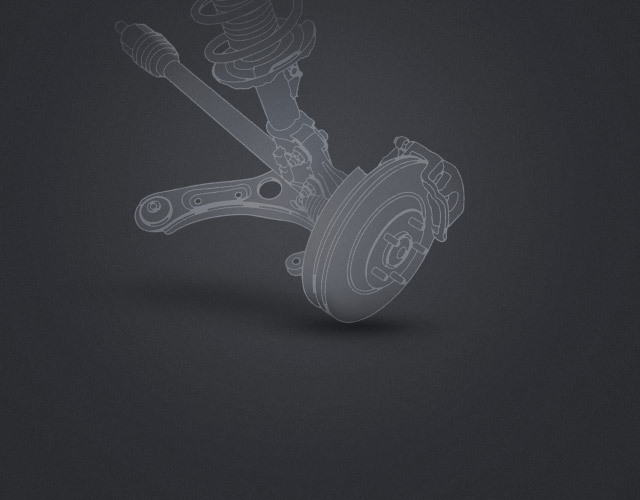 Anti-lock brake system (ABS) decreases stopping distances regardeless of road conditions. Every element is perfect for the touch, and every sound forms a perfect balance. 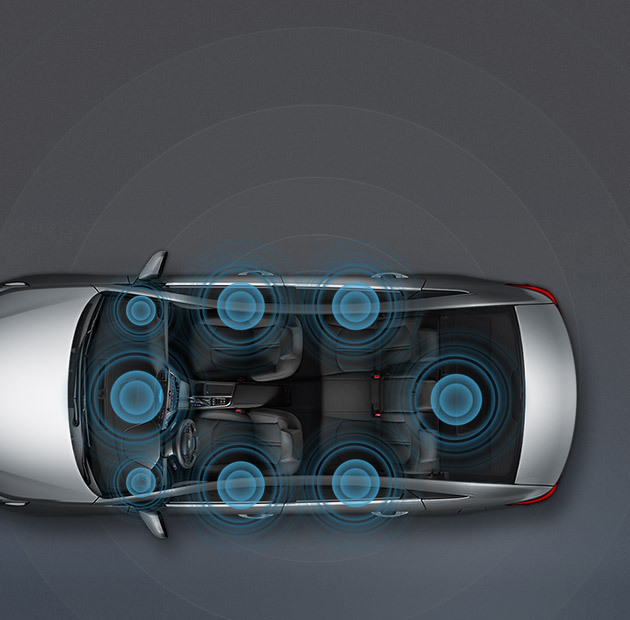 Plenty of convenience features help make your ride better, safer, and more enjoyable. 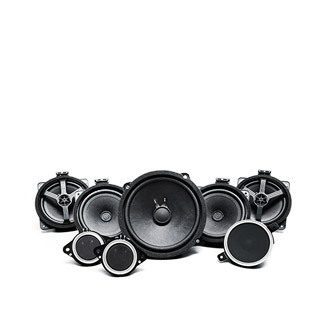 makes you enjoy high-quality sound by intensifying bass. if you get too close to obstacles, you can park swiftly and safely. seconds and it'll automatically open. No need to put down your bags. the parking brake on and off. high-quality sound and easy operation. press of the engine start / stop button. senses and reduces the intrusion of light. to do is press the button on the door handle. temperature drop about 5.5% more than before. being lifted at high speeds. that you can enjoy your favorite music.